Reputation is influenced by perceptions that are constantly changing and evolving. With our creative thinking, we enable our clients to engage effectively with and positively influence factors affecting their reputation. Our approach is informed by the rigorous research of our business and finance analysts, our expertise in social media and the creativity of our media relations and digital specialists. We deliver tangible results for our clients and rigorously evaluate our work against measurable objectives, including benchmarking against competitors and agreed KPIs. Companies that want to protect their reputations in times of crisis or transform their reputations to aid their expansion retain our services because they know that we will be there for them, from beginning to end. 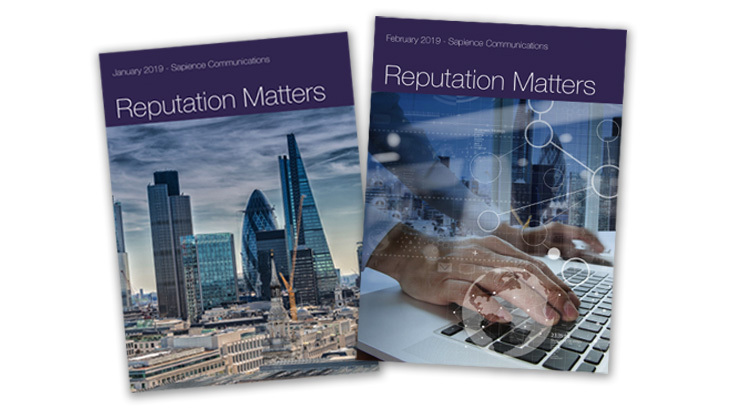 We publish our ‘Reputation Matters’ reports, which review the latest thinking on the factors that influence reputation, include case studies covering a range of scenarios, and contributions from some of the world’s leading analysts and experts in this area.